(NaturalNews) Pandemics like the Ebola virus have made headlines around the world lately, but one medical expert said recently that the bigger threat to health comes from tropical diseases being spread by hordes of insects. In an interview with Fox News, Dr. Mark Siegel, professor of medicine at NYU's Langone Medical Center, said that a few tropical diseases are being spread to the United States at an increasing pace. He also noted that, because they are being spread via insects, it is much more difficult to prevent or control the spread. "The problem is, local insects are picking up these diseases," Siegel explained on Fox News' House Call program. "That's what I need people out there to know." Siegal noted that, as Americans travel to other countries, they are bitten and infected by insects endemic to those regions. Then travelers return to the country and the infection can be spread to local insects. One of the diseases which the medical expert said he is most concerned about is Chagas disease. "[Chagas disease] is a big problem in South America and Latin America," he said, adding that the disease is spread by "the kissing bug," he said. "The kissing bug literally comes to your face at night and kisses you, and bites you, and it puts" a disease-carrying parasite into the blood stream of the victim. While the bug and the disease-causing parasite is endemic to South America, Siegel says it is being spread to the southern U.S. "So it's only a matter of time before the kissing bug in our states pick it up," he said. "And, of course, with the border camps there, there's that issue too. But people bring it in" to the U.S., where he said close to 1 million people have been infected. A separate report from National Geographic (NG) also warned that tropical diseases are encroaching on the United States, using insects as the disease vector -- and they pose a much greater threat to the country than Ebola or similar deadly viruses. "Ebola isn't the tropical disease that's most likely to cause health problems in the United States--not by a long shot," National Geographic reported online. "A handful of other tropical diseases pose much more realistic threats. And they're spread by insects, which can't be quarantined." The Chagas parasite is known as Trypanosoma cruzi, and it is carried in the feces of the kissing bug. It usually enters a host via bites or by the eyes and mouth. In addition, the parasite can be spread in more common ways, like from a mother to a child, or through contaminated blood or organ donations (though the U.S. blood supply has been screened for T. cruzi since 2007, National Geographic noted). "Chagas disease is particularly insidious because it may not cause symptoms initially. But eventually, according to the U.S. Centers for Disease Control and Prevention, 20 to 30 percent of infected people develop heart or digestive problems, some of which can be debilitating and life-threatening without treatment," NG said. "An estimated six million to eight million people worldwide live with Chagas disease, which causes about 12,000 deaths a year, according to the World Health Organization." Siegel noted that there is currently an anti-parasitic treatment for Chagas disease, but it is only available outside the United States and can be had only through the Centers for Disease Control and Prevention. -- Chikungunya, which is found in the Caribbean. It is a disease transmitted by mosquitoes and, while rarely fatal, it can produce fever, muscle and joint paint, headaches, lethargy and rash. Sometimes it can lead to chronic pain and arthritis. 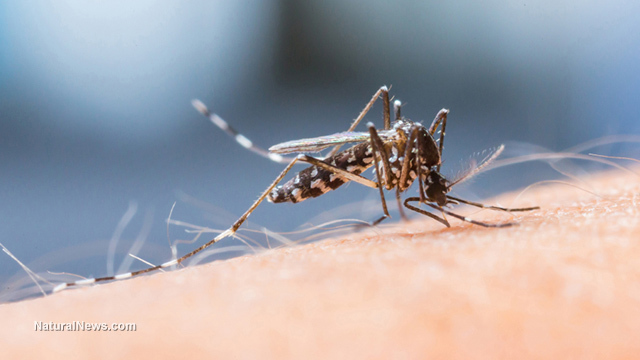 -- Dengue, which is a reportable disease in the U.S. and infects more than 250 million people around the world (there are currently about 96 million active cases). The disease causes intense joint and muscle pain (it is often called "breakbone fever"), a high fever, eye pain and headaches. If not treated, some victims die of shock, as capillaries begin leaking blood into the abdomen or chest cavity.